The best think about November is that you can legitimately start burning Christmas Candles. Which is the best timing as our Limited Edition Field Day Winter 3 Wick Candle is available to buy on our website and via our stockists nationwide! It's the most indulgent of our candles - not only because it really is Christmas in a candle, but it epitomises pure luxury with 3 wicks and around a 90 hour burn time. It makes an amazing gift and is perfect for these dark evenings when we're all indoors more and have candles burning for longer. But to get the most from our 3 Wick Winter Candle and to ensure that you get the full 90 hours gorgeously scented burn time, there's one really important thing you need to do when you light it first...and that's to leave it burning for c.2-3 hours until you have a full pool of wax across the top of the candle surface. You need to resist the temptation to light the candle for 30 minutes the moment you get it home - and then blow it out because you're leaving the house or trying to make the candle last longer. 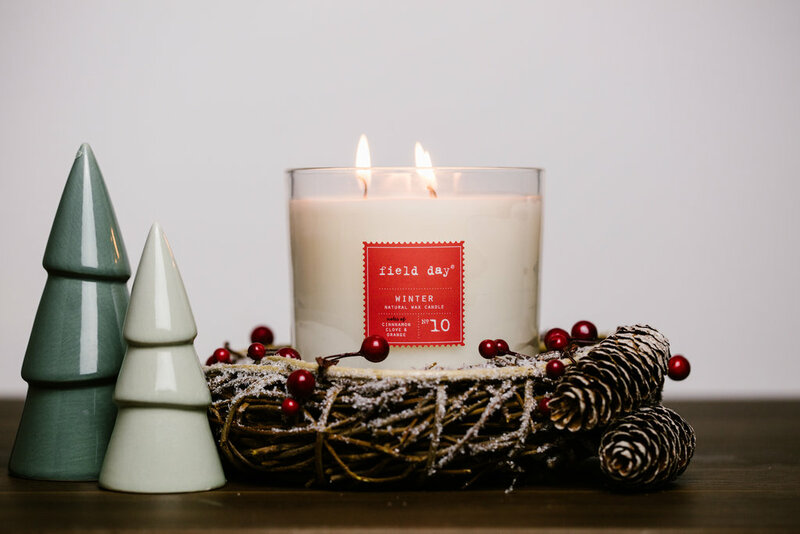 It's so tempting to get that gorgeous Field Day fragrance out there straightaway but a short first burn will cause the candle to start tunnelling - and we've blogged about that before. It's incredibly difficult to reverse a tunnelling candle and you will waste lots of your fragrant wax in the process. Don't worry about having to burn the candle for ages every time because after the first long burn, you will be able to light the candle for shorter bursts. Every now and again, it's good to let it burn on for a couple of hours every to restore the full pool of wax but you don't have to do this every time. And if you can't resist a shorter burn, why not pick up Winter candles in the single wick size and save your 3 Wick candle for days when you are able to leave the candle burn for a longer time?